Home » Buying Facilitation®, Helping Buyers Decide, Podcast Series, Reviews, What is Buying Facilitation®? Please read, listen, and enjoy. While my work is often associated with ‘sales’, my decision facilitation model (named the Buying Facilitation Method® when applied to sales) is indeed a change management model useful in any area in which change, disruption, bias, and resistance resides, and it is a guide to facilitating buy-in. 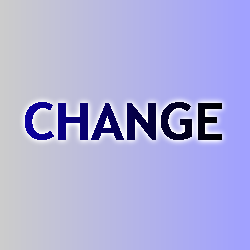 What is Change? And why is Change so hard? The problem with Change Management: bias, resistance, and push. Why is buy-in necessary, and how to achieve it. These podcasts are on my site www.facilitatingbuyin.com along with other podcasts I’ve recorded on the topic of Change Management. My buy-in article was first conceived as part of a World Future Society talk on Leadership and Change Implementation. Very different from typical and academic thinking in the field of change management, it is based on my decision facilitation methodology that is systems based and choice driven, with the change agent taking the role of a facilitator for any situation in which change and buy-in are required: negotiation, coaching, sales, leadership, influencing, or managing. Read the article here. And if you wish to discuss implementations or change management issues you might like to resolve, please contact me and let’s see if there is a way to facilitate your change.